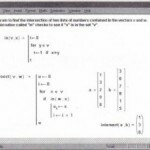 • Type the left side of the function definition, followed by a “: =”. Make sure the placeholder is selected. • Click the “Add Line” button on the Programming Palette. Alternatively, press]. You’ll see a vertical bar with two placeholders. 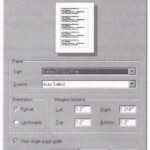 These placeholders will hold the statements making up your program. • In the top placeholder, click the “if’ button on the Programming Palette. Alternatively, press} . Figure 18-3 shows a plot of this function. 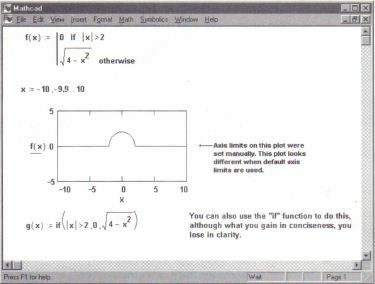 Note that since this function only has two branches, it’s not hard to define it using the if function as shown in Figure 18-3. However, as the number of branches exceeds two, the if function rapidly becomes unwieldy. 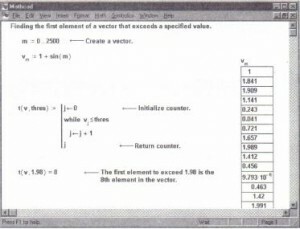 An example is shown in Figure 18-4. 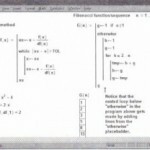 Using the if statement to define a piecewise continuous function. • If you know exactly how many times a loop is to execute, you can use a for loop. • If you want the loop to stop upon the occurrence of a condition, but you don’t know when that condition will occur, use a while loop. A for loop is a loop that terminates after a predetermined number of iterations. Iteration is controlled by an iteration variable defined at the top of the loop. While in most cases you want a for loop to calculate for the complete number of iterations, you may also interrupt the loop on the occurrence of a particular condition. 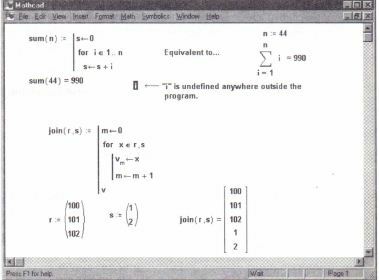 In such cases stop execution within the body of the loop using one of the methods described in “Controlling program execution” on page 407. •In the placeholder to the left of the “E ,” type the name of the iteration variable. The upper half of Figure 18-5 shows this for loop being used to add a sequence of integers. 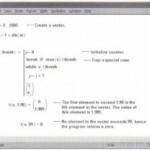 The undefined variable in Figure 18-5 shows that the definition of an iteration variable is local to the program. It has no effect anywhere outside the program. The lower half shows an example in which the iteration variable is defined not in terms of a range but in terms of the elements of a vector. Although the expression to the right of the “E” is usually a range, it can also be a vector, a list of scalars, ranges and vectors separated by commas. Using a for loop with two different kinds of iteration variables. “Add Line” button on the Programming Palette. Figure 18-6 shows a larger program incorporating the above loop. Upon encountering a whiIe loop, Mathcad checks the condition. If the condition is true, Mathcad executes the body of the loop and checks the condition again. 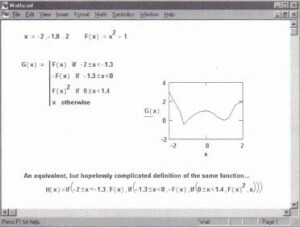 If the condition is false, Mathcad exits the loop.